In our free SDU Tools for developers and DBAs, there's another useful scripting tool. It scripts out the logins that are members of server roles. It's called ScriptServerRoleMembers. By default, it lists permissions for all logins, but you can also provide a list of the logins that you're interested in, as a comma-delimited list, to the @LoginsToScript parameter. 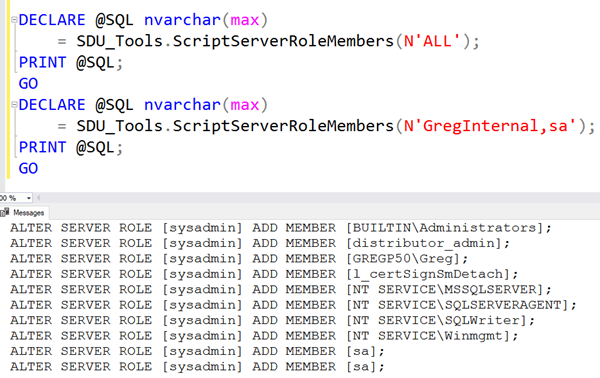 Previous Previous post: Need to learn to write T-SQL queries for SQL Server? Or need to become more confident?